Nit-Occlud® PFO is knitted from a single Nitinol wire, making protruding fixation-clamps obsolete. 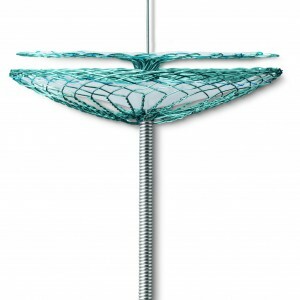 Nit-Occlud® PFO`s unique single-layer distal disc, reduces the metal used in the left-atrium (LA) by 50%, decreasing the thromboembolic risk. Patented single-wire knit – Due to the single-wire design, there is no need for protruding clamps which are usually used. This results in a very low profile. Special design – The occluder consists of a double-layer right atrial disc and a single-layer left atrial disc. The thrombo-embolic risk is lowered by reducing the amount of Nitinol being used in the LA (50%). Various sizes – The Nit-Occlud® PFO is available in diameters of 20 mm, 26 mm and 30 mm. Easy to use – The easy-to-use application system was developed specifically for Nit-Occlud® PFO procedures. The device is premounted, retrievable and easy to position and to deploy.